Fig. 1. Average relative conservation and accessibility of the 20 amino acids (see Prediction Method). Lighter columns represent the average relative conservation score; darker columns correspond to the average relative accessibilities of each of the 20 residues. In the case of cysteine residues an open circle and a filled circle represent the average relative conservation of bonded and nonbonded cysteines, respectively. 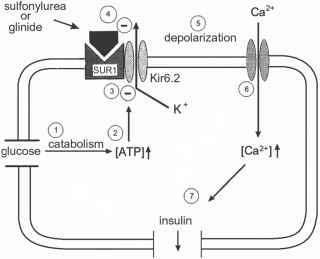 The amino acids are indicated underneath by their one-letter code. Fig. 2. 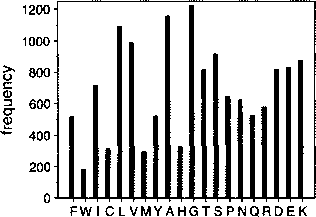 Distribution of the 20 amino acids between exposed and buried positions in the 81 protein structures analyzed. Dark-shaded portions of the columns correspond to the number of buried residues, whereas the light-shaded portions correspond to the exposed residue. The length of the columns corresponds to the total number of occurrences of the residues in the overall composition. The residues are ranked from left to right, the leftmost one (phenylalanine) being the most buried, the second (tryptophan) the second most buried, etc. 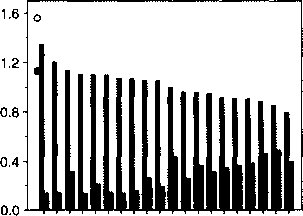 The amino acid one-ietter codes are below the graph. the different oxidation states of cysteine rather than between half-cystines and cysteines. It is suggested that this division between oxidized and reduced cysteine should be taken into account in order to incorporate evolutionary information into prediction methods efficiently. Figure 2 shows the distribution and occurrence of residues: Cysteine is among the most buried residues (in order, right after phenylalanine, tryptophan, and isoleucine), presumably because it has the most reactive side chain.6 The distribution of half-cystines and cysteines between the surface and the interior is almost identical (84 and 80% are buried, respectively). This result is slightly modified if we use the bonded and nonbonded categories instead of the half-cystine and cysteine categories: 79 and 80% of the bonded cysteines and "free" (i.e., nonbonded) cysteines are buried, respectively. 26 M. T. Petersen, P. H. Jonson, and S. B. Petersen, Protein Eng. 12, 535 (1999). 27 S. C. Bagley and R. B. Altman, Protein Sci. 4,622 (1995). Cysteines are the most frequent active site residues, followed by histidine,28 which might explain why they prefer one another's surroundings. The original observation that glycine is abundant around half-cystines14'17 was not confirmed by a more recent study,26 whereas another did, but only at a low significance level.27 However, the original observation referred to sequence neighbors, whereas the latter referred to structural neighbors. An even more recent study by Abkevich and Shakhnovich29 illustrated a strong preference for glycine in the structural neighborhood of disulfide bonds, but it was shown that this effect becomes insignificant if the disulfide bond bridged cysteines were closer than eight residues away in the sequence. The most frequent sequential separation between two half-cystines forming a disulfide bond peaks at 11 and 16 residues.26 A higher frequency of glycine could be explained by entropic reasons because a glycine-rich chain segment has high flexibility in the unfolded state.